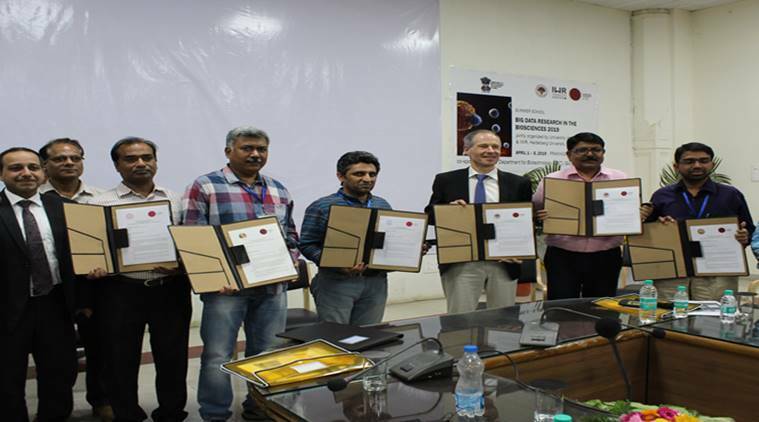 Six leading Indian institutes are collaborating to establish the first Joint Indian-German Research Training Group (RTG) on Bio Big Data Science to promote the use of big data methods in biological applications. The programme aims towards educating the next generation of young researchers in the field. The institutes include the Indian Institute of Technology (IIT) Guwahati, IIT-Kanpur, IIT-Madras, University of Allahabad, University of Delhi and Jawaharlal Nehru University (JNU). They are partnering with Heidelberg University, Germany, and Department of Biotechnology (DBT), Ministry of Science and Technology, Govt. of India. The research training group will set up as many as 50 PhD projects, which will be supervised by research tandems consisting of leading Indian and German scientists. The first funding of the programme will be between 2019 and 2025 with an investment of €3 Million from each of the two organising partners (Heidelberg University and DBT). The program organised its first summer school at Allahabad University, Prayagraj, Uttar Pradesh, from April 1-5, 2019. Participating scientists gathered to train postgraduate students on topics ranging from bio-molecular modelling to visualisation of large data frames. During this event, the partners will sign the bilateral MoUs, which will officially mark the beginning of the cooperation. Parallel to the summer school a networking workshop was held to foster the formation of research tandems and the definition of new research projects.